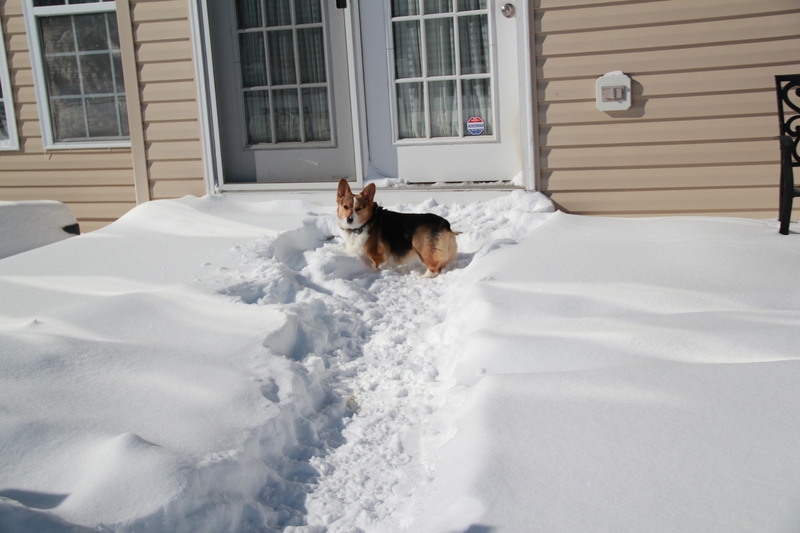 This week’s spring warm-up has brought us out of the dreaded “Arctic blast” of the last few weeks. It’s a relief not to have to keep those pipes dripping anymore. 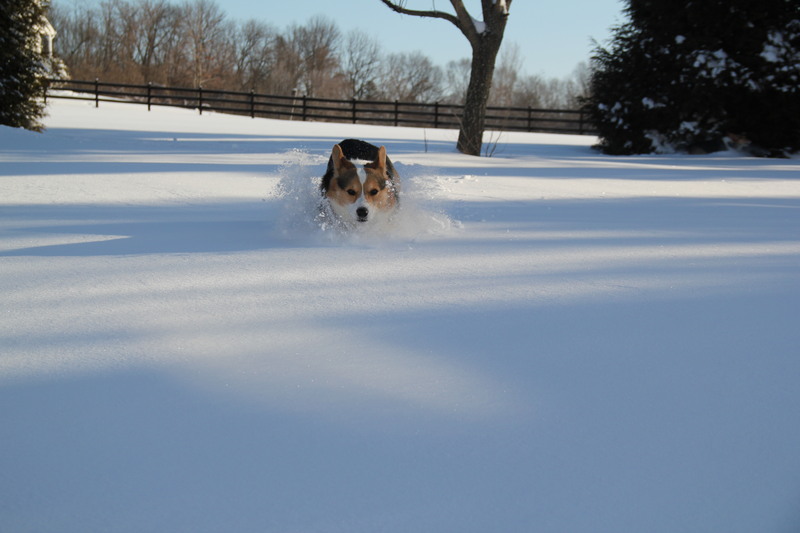 I thought I’d wish winter good-bye with one more set of corgi snow pictures. 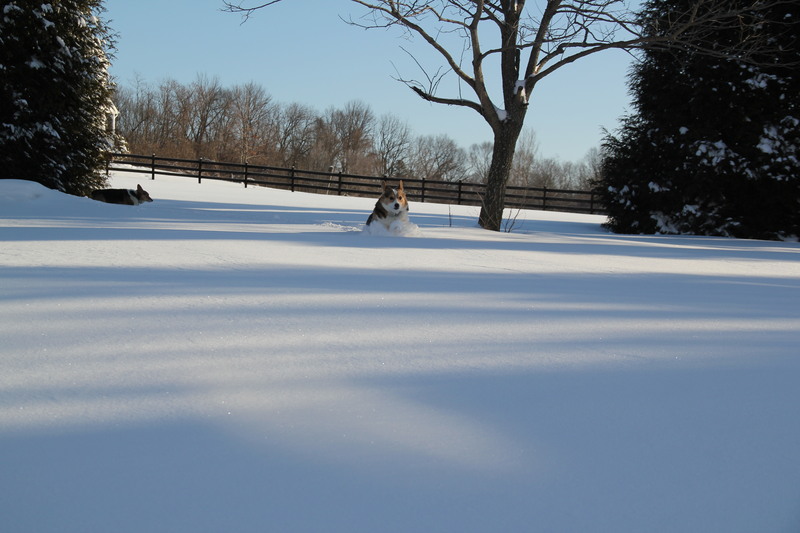 I always love the days after a snow storm, when the sun arrives to create a great contrast between the deep blue sky and the stark white ground. 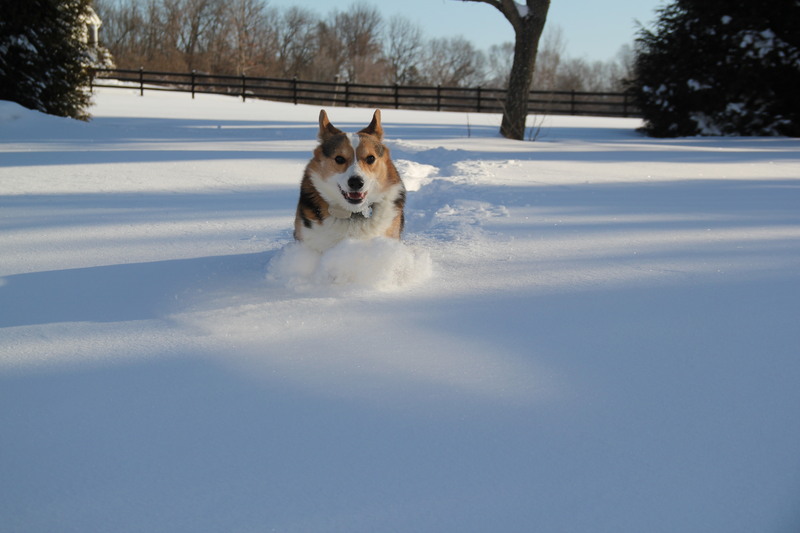 And, of course, the corgis keep it lively as ever. Enjoy! Yes, that’s NEGATIVE 8. 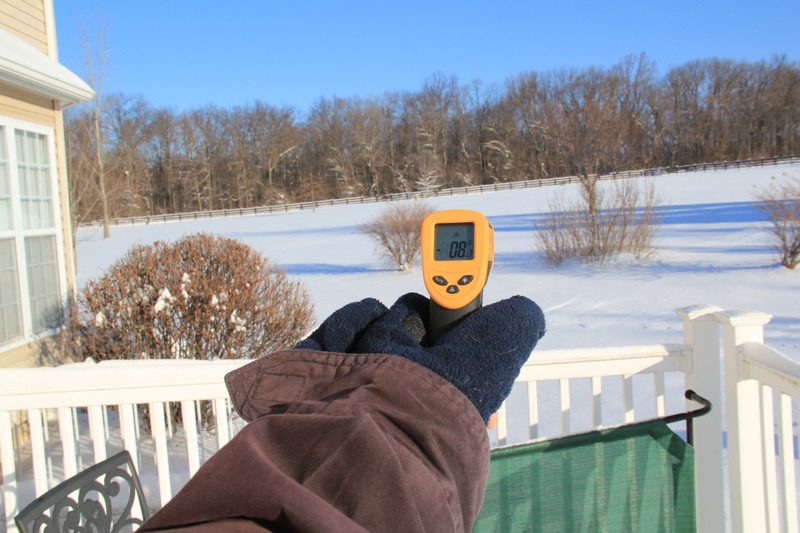 Even though it looks warm, the morning after the storm was quite chilly! 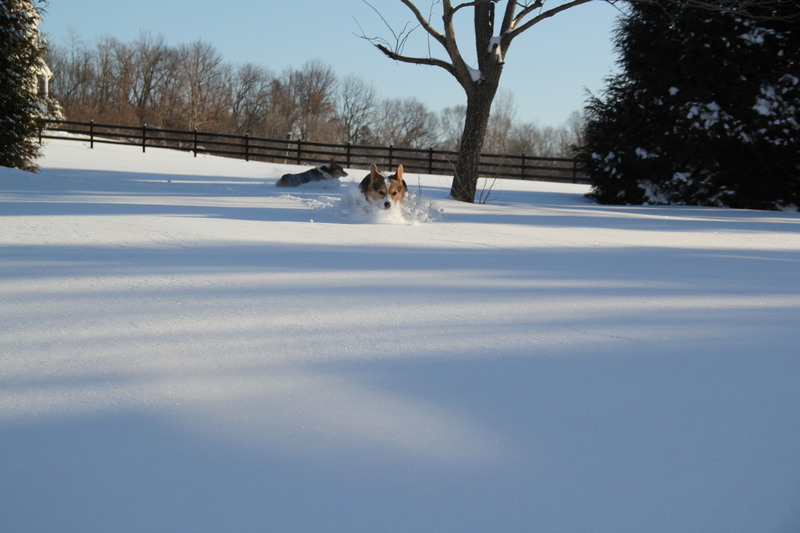 But the corgis don’t seem to mind the cold at all. 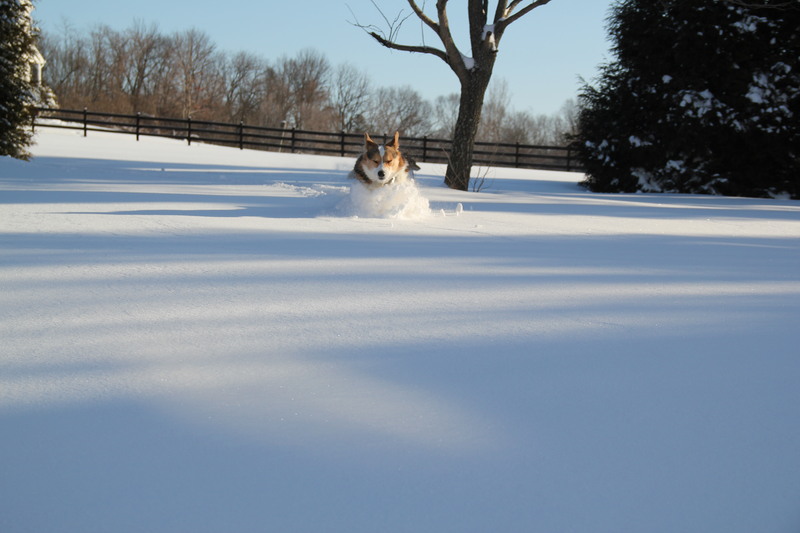 I love this shot of Yoda. 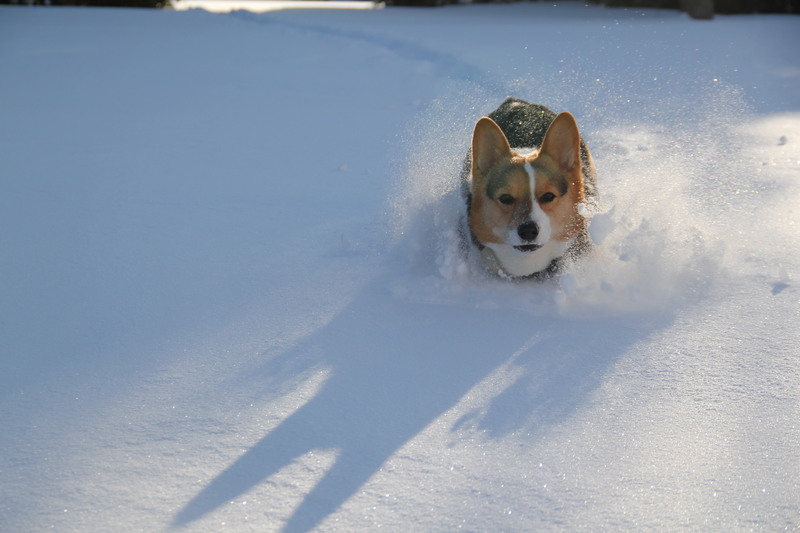 He looks like he’s swimming through the snow. 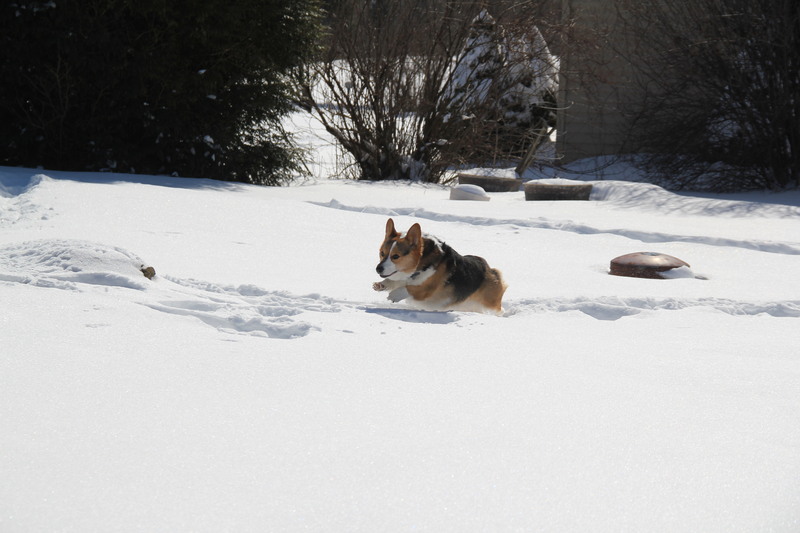 Here, he reminds me of an Olympic athlete. 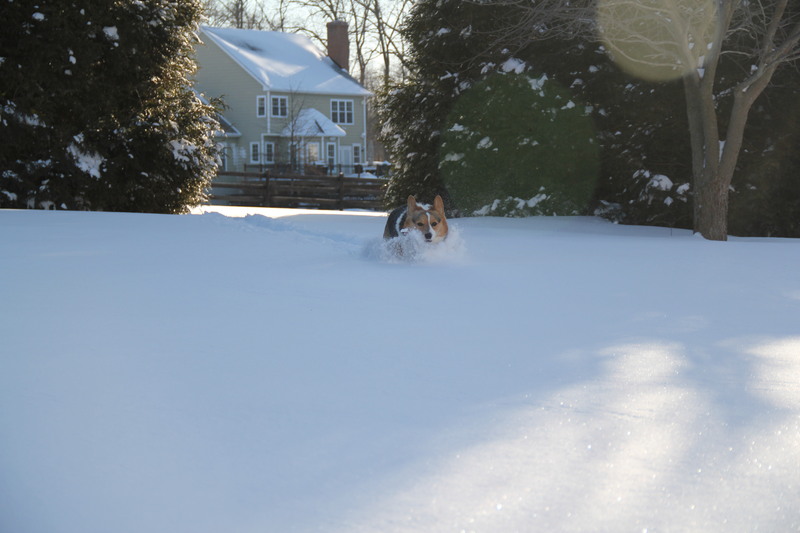 A dog next door interrupts the photo shoot. This is Yoda’s tree. 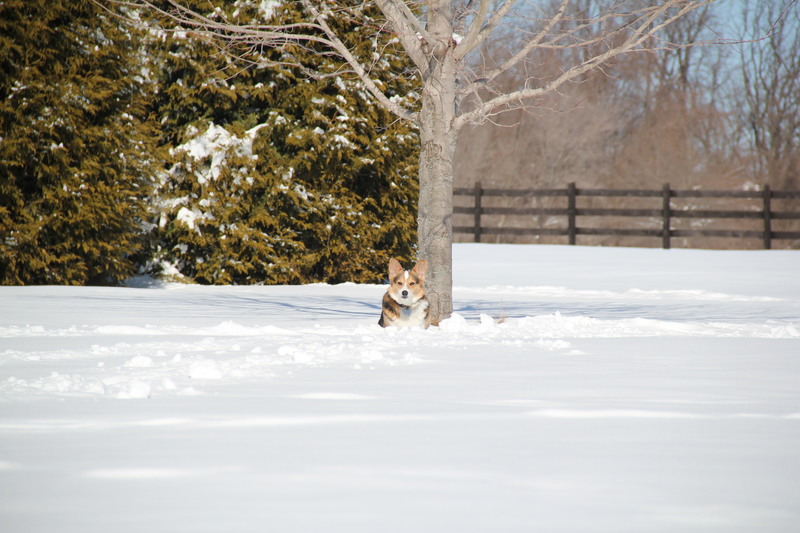 He loves to sit under it in all four seasons. 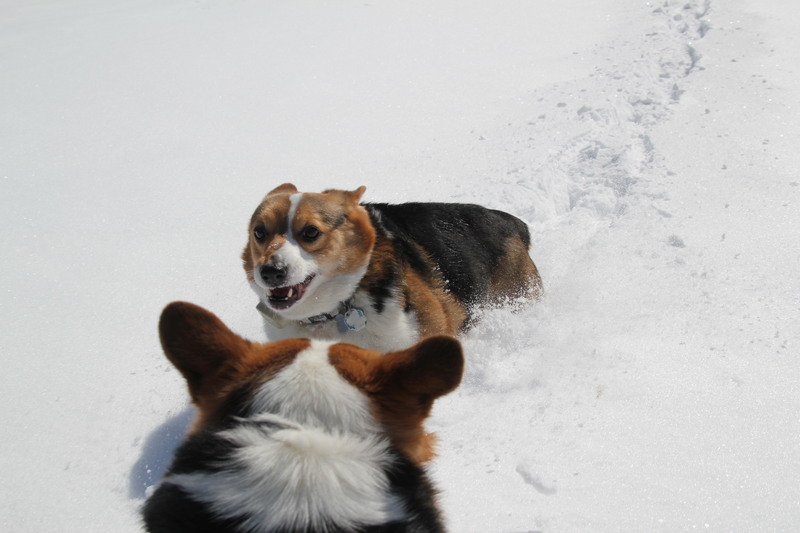 Leia is trying to engage her brother in a game of chase. Leia has never sat still long enough to have a favorite tree. 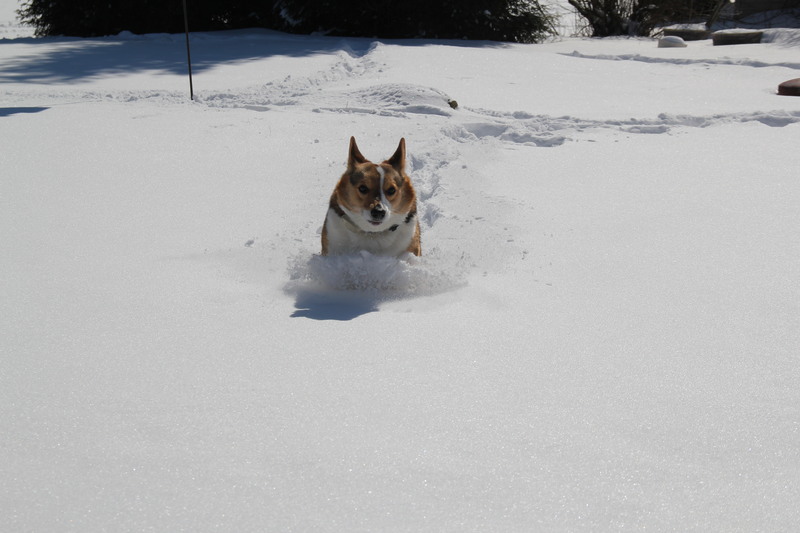 My favorite shot of Leia. 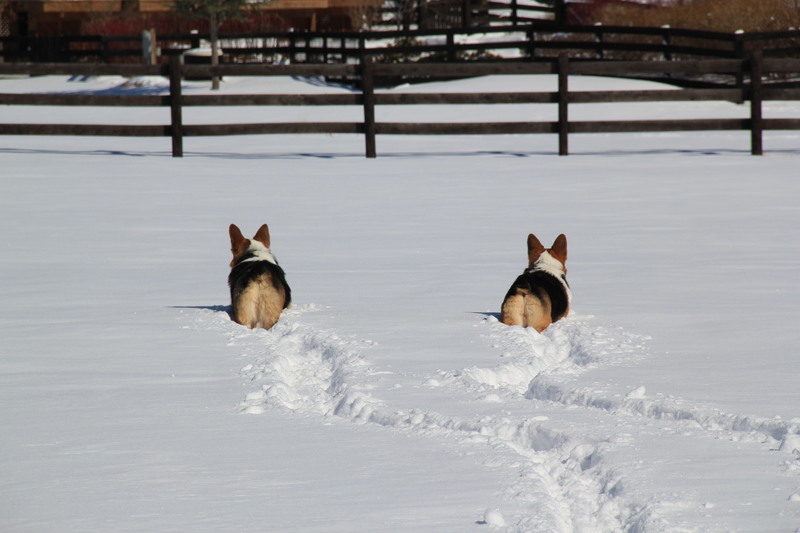 The corgis prefer to use “corgi paths” when they aren’t running maniacally through the snow. 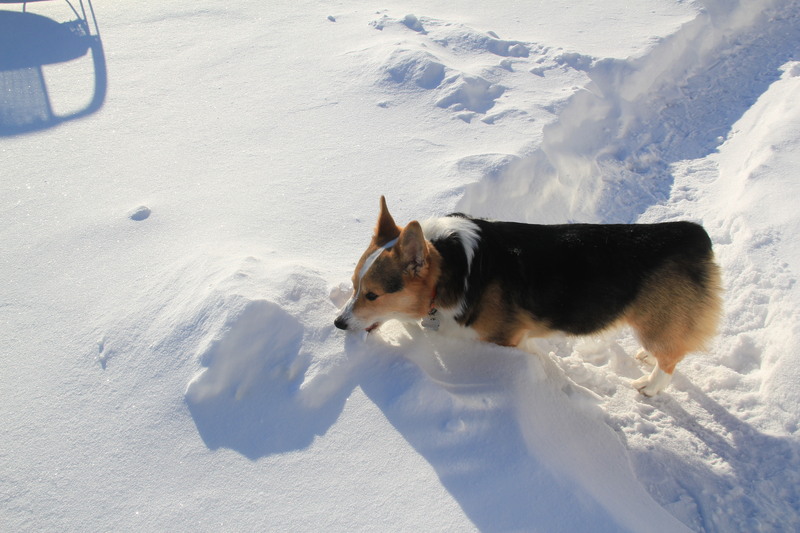 The best part about corgi paths is there’s lots of places to eat choice bits of snow. 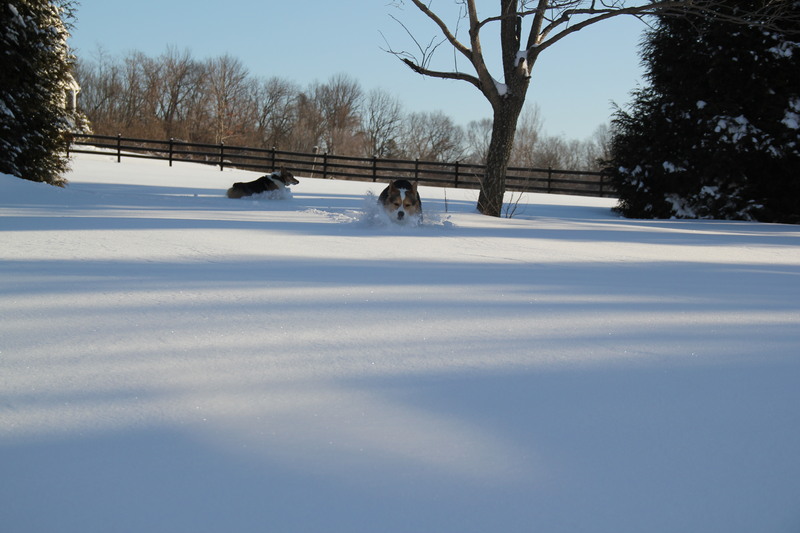 But, of course, running through the snow is much more fun. 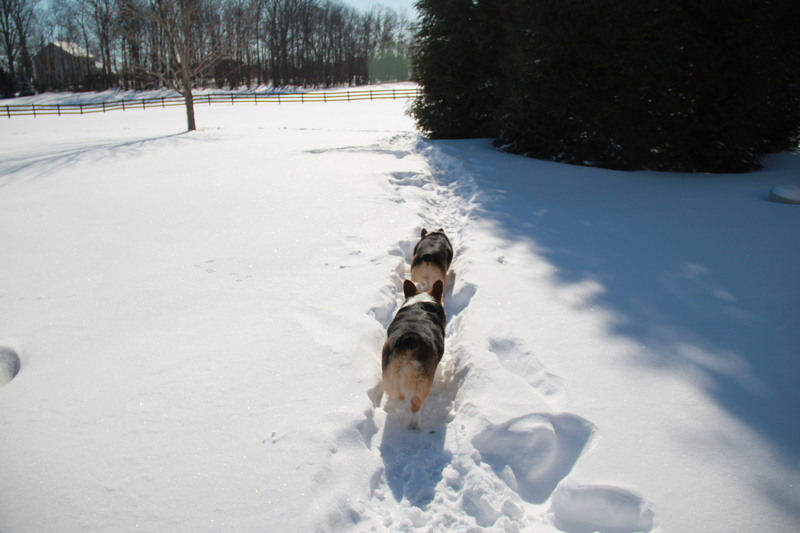 Unlike her brother, Leia has a limited tolerance for low temperatures. This is the “look” she gives me when it’s time to go inside. Hope you’ve enjoyed these pictures. Next up on the blog? 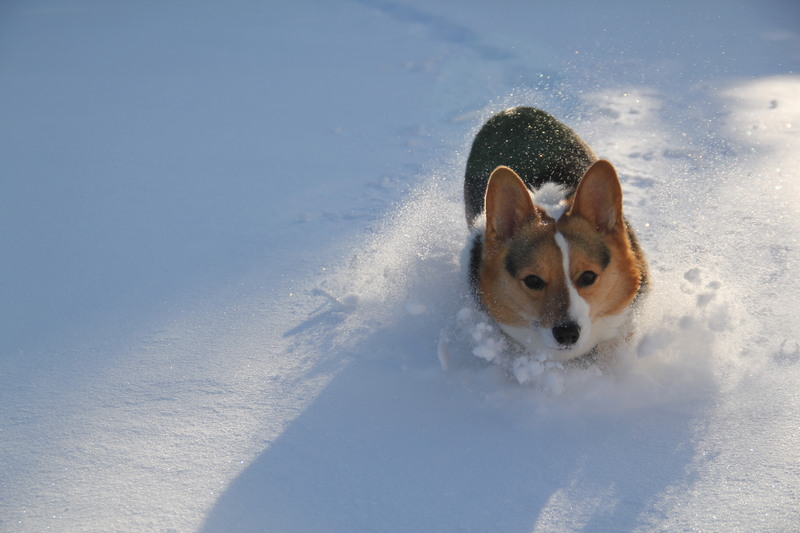 Corgis + melting snow! 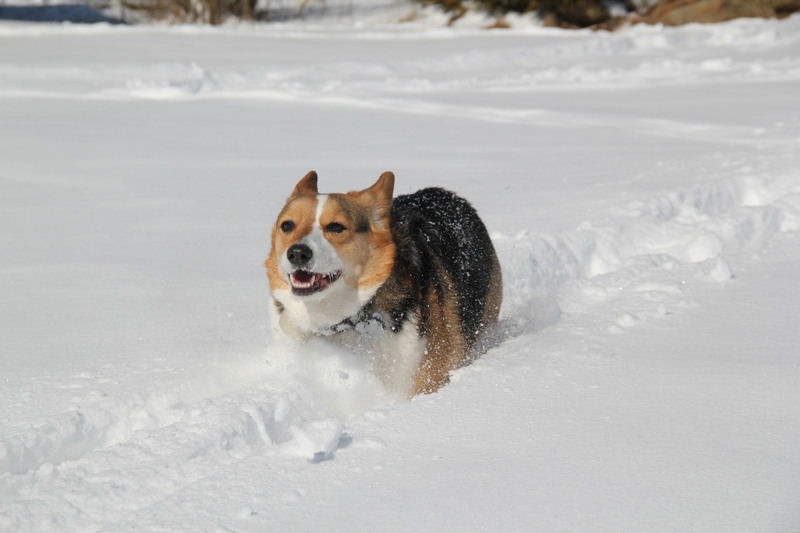 Posted on March 13, 2015, in corgi, photo. Bookmark the permalink. Leave a comment.